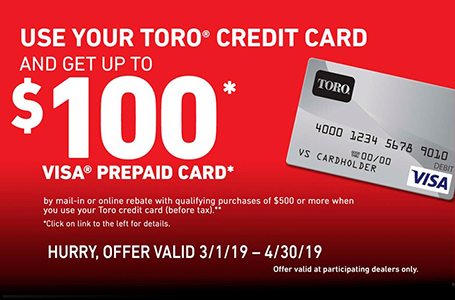 Toro 50" TimeCutter® MX5075 (74768 / 74778) for sale in Columbia City, IN. More Farm Store Inc. 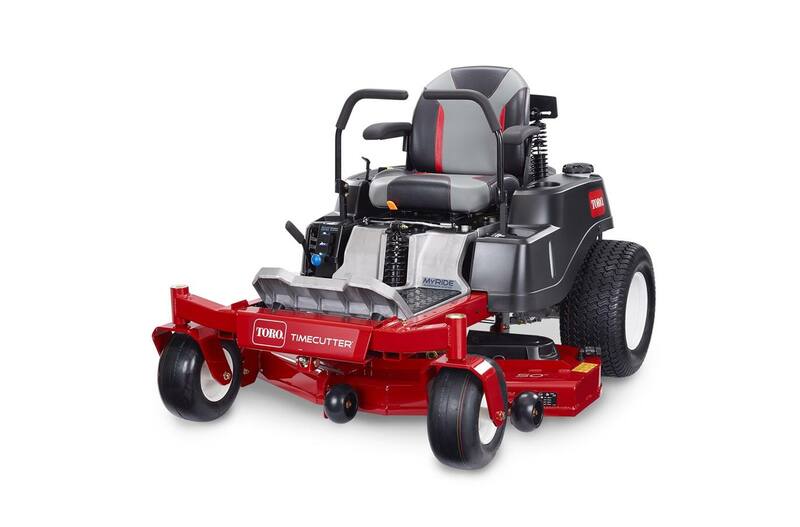 The TimeCutter® MX5075 zero turn lawn mower features the smooth MyRIDE® Suspension system** with a suspened operator platform that cushions you from bumps and vibrations on rough terrain. 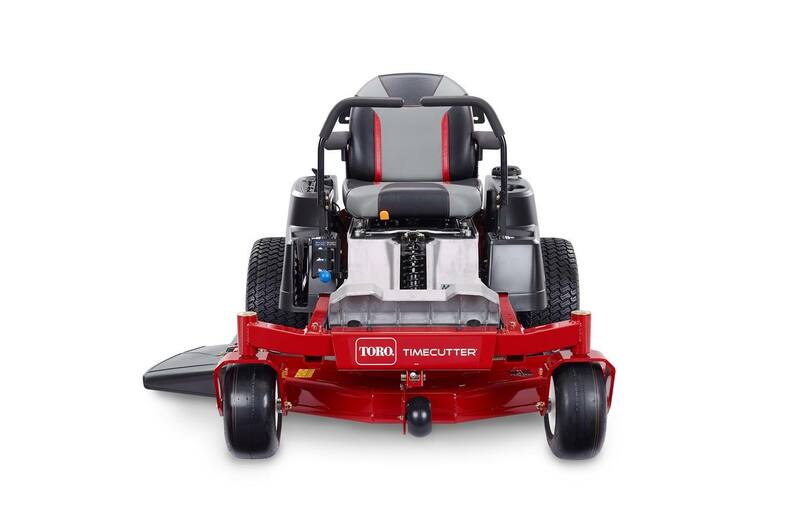 It's powered by 24.5 hp Toro® Commercial V-Twin 708cc engine with Self-Cleaning Air Filter Housing. 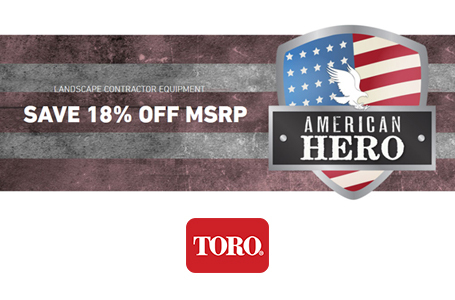 Featuring a 50" 10-gauge fabricated steel mowing deck with convenient washout port. With great features like our exclusive Smart Speed® control system, you can choose from 3 speeds giving you greater control when trimming, towing attachments and mowing. 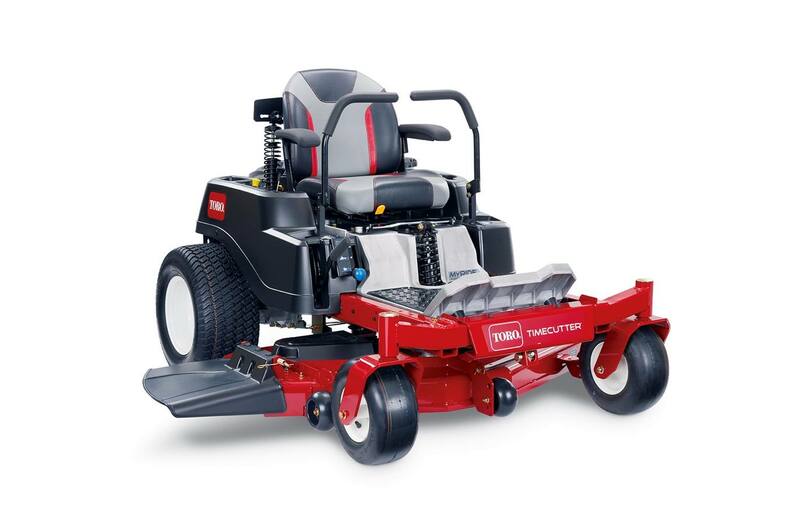 Smart Speed® - choose different ground speed ranSmart Speed® Control System has three ground speed ranges (Trim, Tow, and Mow) giving you greater control of speed and maneuverability for cutting grass and pulling attachmentsges without changing engine or blade speed. Adjust Your Comfort: The MyRide suspension system allows each user to easily adjust the ride setting to their personal preference. Suspended Operator Platform: The suspended operator platform allows you to float with 3" of travel, absorbing bumps and vibrations when mowing over rough terrain. Smart Speed® Control - Trim, Tow, Mow: The Smart Speed control system allows you to choose from 3 ground speed ranges depending on the chore. 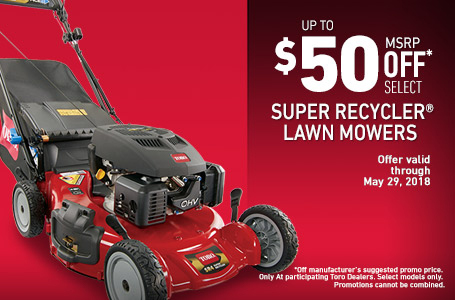 Low speed for trimming, medium for towing and high speed for mowing. 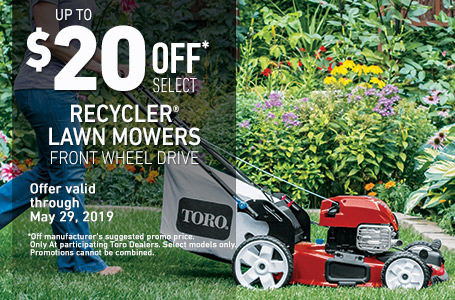 20" (50.8 cm) Rear Tires: The large, 20" (50.8 cm) diameter 4-ply rear tires deliver better traction without tearing up the turf and a smoother ride in uneven terrain.